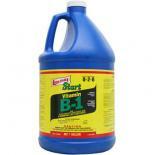 Standard Ecogrow (10-8-14): Ideal for houseplants and gardens in soil or hydroponics. 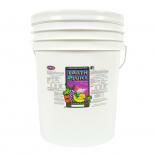 Perfect for tomatoes, cucumbers, houseplants and all temperature zone plants. 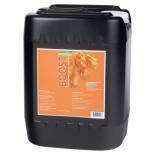 Ecogrow "S" (15-7-12): For subtropical plants and flowers. 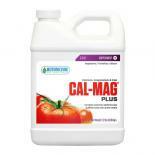 With 5% more nitrogen, this product promotes lush foliage growth. Ecogrow "M" (20-6-12): The ?monstera? 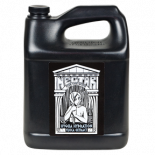 formula is from Israel - formulated for tropical broadleaf plants and fast growing plants under tropical growing conditions and high light levels. 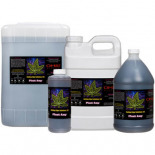 Ecobloom (3-35-10): This low nitrogen, high phosphorous formula promotes blooming, flowering and fruitation on mature plants. 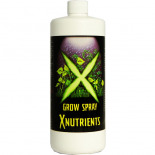 The low nitrogen level keeps the plants metabolically healthy while slowing down the vertical growth rate. 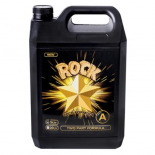 Ecogrow "R" (14-6-17): This two-part formula is ideal for plants grown in rockwool. 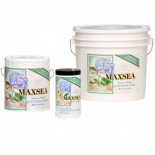 It uses chelated trace elements and is pH adjusted to counteract the alkalinity of this growing medium. Ecobloom "R" (6-25-17): This two-part formula will promote flowering and fruitation on plants growing in rockwool. Ecogrow guarantees the performance of its products 100% when used as directed. 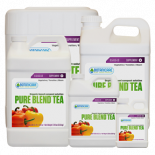 Ecogrow contains some time-release nutrients (less than 10%), solubility is not guaranteed, nor is breakage of plastic bottles. Store in a cool, dry place away from light. For more information, please visit the manufacturer Ecogrow's website.